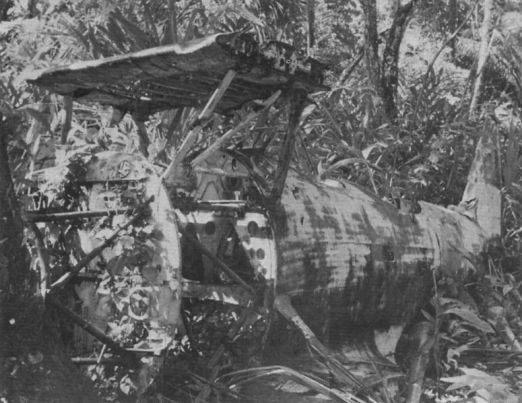 The remains of a Consolidated B-24D Liberator bomber which made a forced landing in swamp country near Wau, New Guinea. 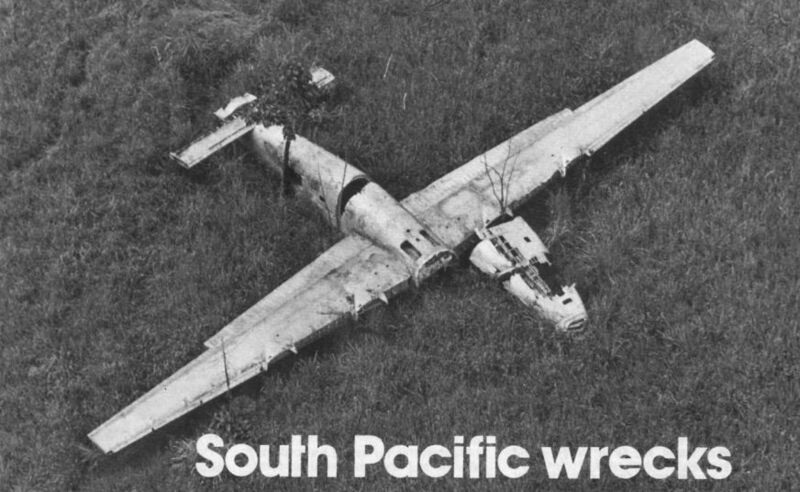 Many components, including its four Pratt & Whitney engines, are missing. The bullet-scarred centre fuselage section of a Douglas DC-2 or -3 which was apparently shot down on take-off near Finschhafen, New Guinea. Eight years ago this Mitsubishi A6M Zero was mounted on a concrete block at Kavieng, New Ireland, as a war memorial. 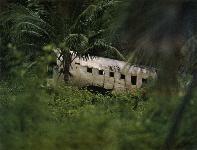 All that now remains is the concrete block, the aircraft having gone to Melbourne. The engineless Consolidated Catalina ended its flying career eight years ago, and was used for fire practice at Jackson’s Field, Port Moresby, until its recent purchase by a New Zealand group for preservation. 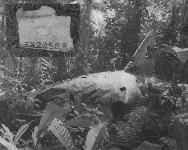 The fuselage of the Mitsubishi G4M Betty bomber in which Admiral Yamamoto was shot down by Lockheed P-38 Lightnings on April 18, 1943, lies in deep jungle about 20 miles from Kahili, on Bougainville. 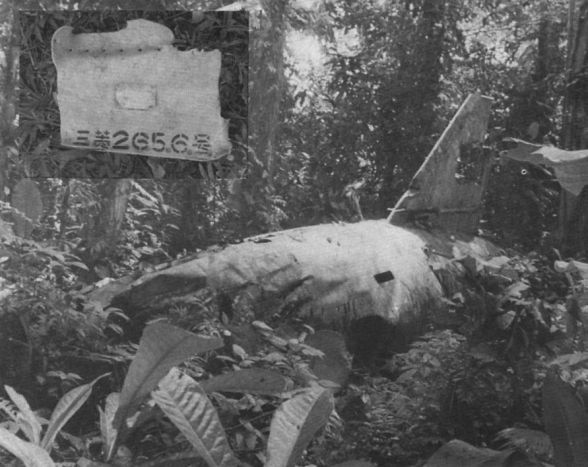 The aircraft’s identification plate is seen in the inset. 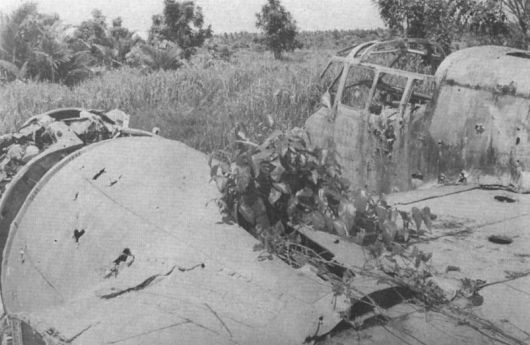 One of several wrecks on what was once the Japanese airstrip at Alexishafen. 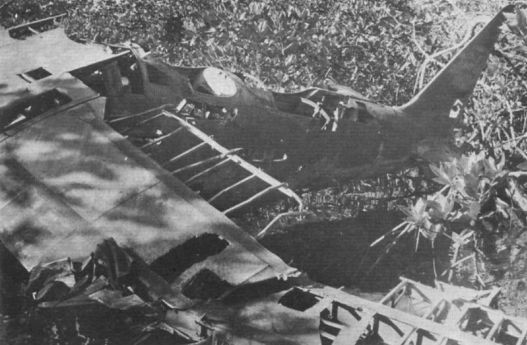 This example appears to be a Nakajima Ki-49 twin-engined heavy bomber, code-named Helen by the Allies. 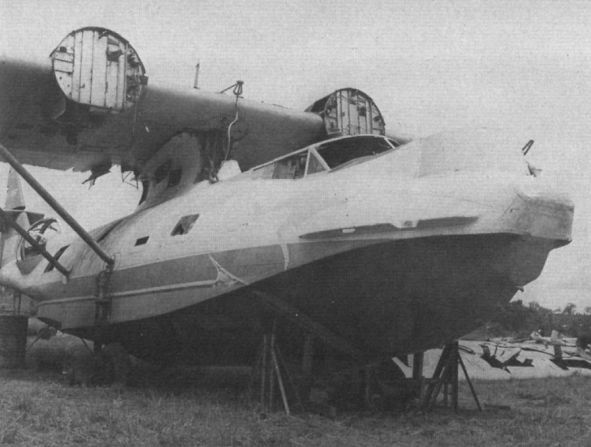 Buka passage, between Buka and Bougainville, was the site of a Japanese Navy seaplane base, and this biplane, probably a single-float Mitsubishi F1M observation seaplane coded Pete, rests in swampland on the edge of the Passage. 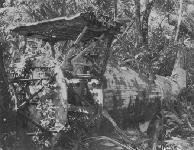 Another example of the Mitsubishi F1M, or Navy Type O, this wreck lies at Nila, site of a large seaplane base in the Shortland Islands. The bearers for the 820 h.p. Nakajima Hikari 1 radial engine are well shown.